Google Read & Write for Chrome is an extension available from the Chrome Web Store to assist with reading and writing accessibility. Fluency tutor (1 month free trial, $99/yr) provides Lexile-leveled digital texts for students to read, complete with running records. Available from Chrome web store. WriQ is an extension that helps assess writing and make suggestions for improvement. ​​For Primary students and emerging readers. TumbleBooks provides a wide variety of e-books in English and French. The Tumble Books options are close to the top of the page of this link. Epic! also has interactive books available in both languages and compatible with Google classroom. Storyline online includes a variety of read-aloud picture books by celebrity actors. Common Lit offers Gr 5-12 classroom teachers reading passages and analytics to track student reading progress. Fully compatible with Google Classroom! Contact kevinsturt@sd28.bc.ca for easy access login details. 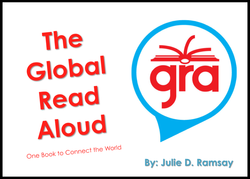 ​The Global Read Aloud season is upon us! 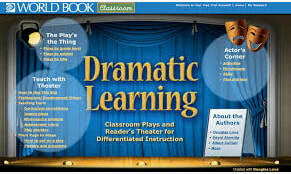 ​World Book Dramatic Learning features classroom plays and reader's theatre for differentiated instruction. The Balanced Literacy Diet provides excellent user-friendly tips and resources on how to prepare your K-6 classroom to include balanced literacy into daily classroom routine! Sightwords.com provides games and resources to help build student phonemic awareness. Starfall provides activities to help students in learning to read by building understanding of phonics and phonemic awareness. Reading eggs (login required). Contact kevinsturt@sd28.bc.ca for access login details. Storybird provides images to help students build a story as a picture book or poem. Writing fix offers excellent teaching ideas to use read-alouds as platforms to help students craft their thinking and writing. ​In creating a class account, the teacher can create spelling lists for students to practice through a variety of interactive games. ​​Quill.org provides tools to help students write better including text organisation, grammar and writing suggestions. Contact kevinsturt@sd28.bc.ca for easy access login details.